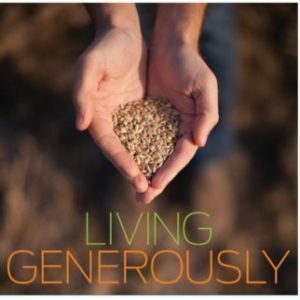 On Sunday, October 2, we will kick off our annual giving campaign: “Living Generously.” In the weeks following, we will explore together how we can live more generously as individuals and as a community of faith. Living Generously is more than what we do with our financial resources — though that is important. To live generously, we are also called to be open to new ideas, to welcome the stranger, to volunteer often, and to forgive those who have offended us. Your generosity, in response to the abundance in your life, will fund the mission and ministry of Holy Trinity. 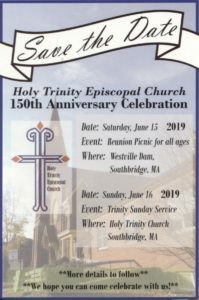 Beginning on Sunday, October 2, and continuing throughout the stewardship season, our Sunday bulletin will include reflections written by Episcopal leaders from across the country. 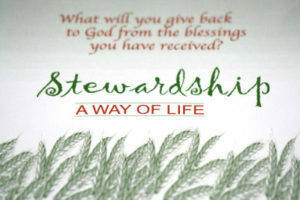 These reflections will cover stewardship and faithful giving in connection with the Gospel reading of the day, and we will use them for prayer. Each Sunday, we will hear stories of personal transformation through the practice of intentional giving from your fellow parishioners. On November 20, we will celebrate Commitment Sunday, the culmination of our exploration, when pledges will be completed and offered as an act of worship and in response to all that God has provided. Fr. Richard and the vestry have set a goal of receiving 100% of pledge commitments from our worshiping community. We will be in intentional prayer that each of us will remain open to letting the Holy Spirit lead and guide us in a faithful response to being called to Live Generously. Thank you for joining me as we consider how we can live more fully into a generous life.